Students from Northumbria University, Newcastle have returned from London’s Graduate Fashion Week (GFW) with a clutch of accolades awarded by some of the industry’s biggest names. 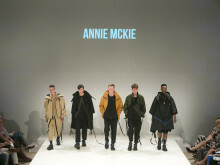 Internationally-renowned for its fashion courses, Northumbria took first prize in two categories and secured a total of seven awards. 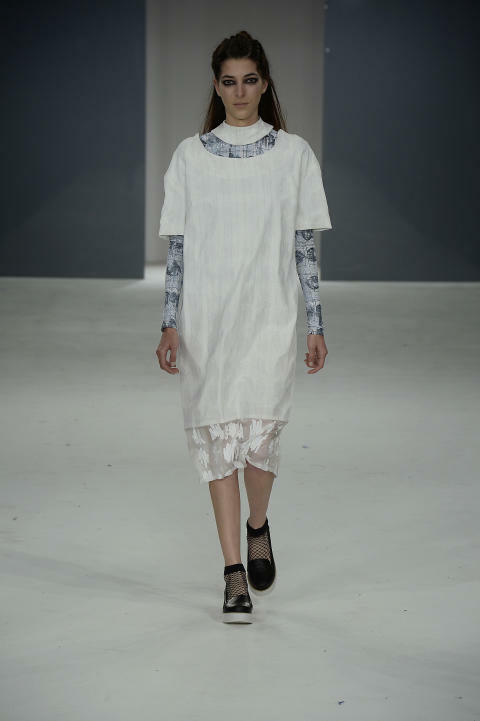 The University showcased a number of 'ones to watch' among its collections and exhibitions at this year's GFW, which was held at the Old Truman Brewery on Brick Lane. Northumbria students enjoyed a sweep in the Ethical Award, taking first, second and fourth places, and marking the third year in a row that Northumbria has been represented in the award category. Fashion Design and Marketing students Stephanie Ambridge and Lucy Scott took first and fourth place, while Fashion BA (Hons) student Anja Atkinson walked away with the award for second place. Fashion Design and Marketing continued its evening of success with Catherine Courtman coming runner up in the Fashion Innovation category for her Urban Nomad collection, which took inspiration from mobile tent design, and Jacob Goff receiving the third place award for Creative Marketing. Fashion's Hannah Donkin and Chloe Sanders were both selected to showcase on the critically-acclaimed 'Best of GFW' catwalk – where the likes of fashion luminaries including journalist Hilary Alexander OBE and designer Anne Tyrell MBE were seated on the front row. Hannah also received a special mention from Stefan Siegal who judged the Creative Catwalk Award, and has since been presented first prize in the prestigious Sophie Hallette competition. Additionally, Rachel Jefferson's controversial Margaret Thatcher-inspired collection, Ordered Chaos, was also recognised and Rachel was named as runner up in the David Band Textile Award. 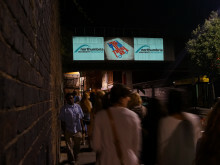 The highly-sought Best Stand Award, for which Northumbria as a collective was awarded first prize, was announced by host Zoe Hardman at the final awards show that closed GFW on 3 June. Kristen Pickering, programme leader for Fashion 2014 at Northumbria University, said: "We're really thrilled with our success at this year's event and to bring back with us the overall award for Best Stand, along with some fantastic achievements for the individual students. "Over the course of the week, the feedback from visitors to the stand and the catwalk shows has been very positive with the craftsmanship, skill and innovation being noticed above all – a true attribute to the long hours of hard work that have gone into these final collections. "We're really proud to be celebrating the 60th anniversary of Fashion at Northumbria next year and are looking forward to helping our next generation of creative designers to achieve their aspirations. Our alumni have gone on to work for huge names in the industry so the opportunities for our graduates seem even more far-reaching." ​Northumbria fashion students have been praised after collaborating on an exciting live project with retailers Urban Outfitters. Impressing some of the creative industries’ leading names, Northumbria’s students and staff enjoyed success at every graduate awards show they attended, including Graduate Fashion Week, Free Range Interiors, Design & Art Direction’s (D&AD) New Blood and New Designers. 11 April – 11 July 2015 BA Fashion students from Northumbria University, Newcastle are behind a new exhibition that reimagines the white shirt. Industry professionals and members of the public are invited to gain a sneak preview of up and coming creative talent as Northumbria University, Newcastle opens the doors to its 2015 degree shows entitled REVEAL. 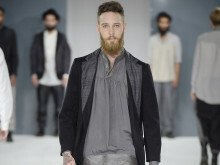 Katrina Wagster’s stunning menswear designs took the ‘Absolute Award for the Most Creative Collection’ at Mittelmoda The Fashion Award, in Vicenza, Italy, this month.